I glanced anxiously at the sky as the thunderheads built up and menaced the airspace surrounding the airport. Pedro HAD to make it on the air ambulance flight. If he didn’t, I feared the hospital bed awaiting him at the University of California Medical Center in San Francisco (UCSF) would go to another patient. It had taken a miracle to get him accepted to their hematology and oncology ward, and I didn’t want to let it slip through our fingers. Even more, I feared that if we waited just one more day we would never make it. He looked like a skeleton or an extra from Schindler’s List. The muscles in his face no longer worked, so in order to eat he had to use his hands to manipulate his cheeks and push the food between his cheeks. Most of what he ate didn’t stay down long enough to provide nutrition. No wonder he weighed 130 lbs. It seemed as if he threw up within thirty minutes of eating. Every. Single. Time. I worried that some other yet-to-be identified problem lurked in his body. I’d said my goodbyes to the girls the night before, and I only need to purchase a few toiletries and a pair of shoes before heading to San Francisco. The hospital had arranged for our flight, but they’d had to postpone it a few hours once already due to severe weather. My list of anxieties grew. We’d be leaving our two young daughters at home with my parents for who knew how long. Our daughters needed us during this scary time–being a thousand miles away from them scared me and worried me and squeezed my mommy heart. Where would I stay once I arrived at UCSF? How much was this going to cost us? Would they have the cure for Pedro’s cancer? I felt the tension grabbing my shoulder blades and hunching them together over the steering wheel. I glanced down at my speedometer and jumped my foot off the accelerator. I didn’t need a ticket to add to my worries. Hail started to pound as I left the mall parking lot. Had I remembered to leave a spare set of keys with my parents so they could pick my car up from the hospital parking lot? I struggled to find a parking place and remember where I’d parked so I could tell my folks. The stress threatened to choke me. We were really on our way to the big city. I launched a prayer heavenward. I felt like I’d fall apart if we left and I’d fall apart if we didn’t. I silently dished out my list of cares and worries in short little bursts of incoherent prayer as I calmly smiled at Pedro and helped him finish his supper. Now if only he could keep it down. He HAD to stop losing weight. Within an hour we had arrived at the airport and met the captain and the nurse who would administer morphine during the flight. The rain had stopped and we made it to the plane without incident. “What?” The nurse and I looked at him quizzically. “That’s the medicine that keeps you from throwing up, isn’t it?” I asked him. The nurse nodded. “I’ll add that to your chart,” the nurse said with a smile. “I never would have thought of that.” She shrugged and scribbled. 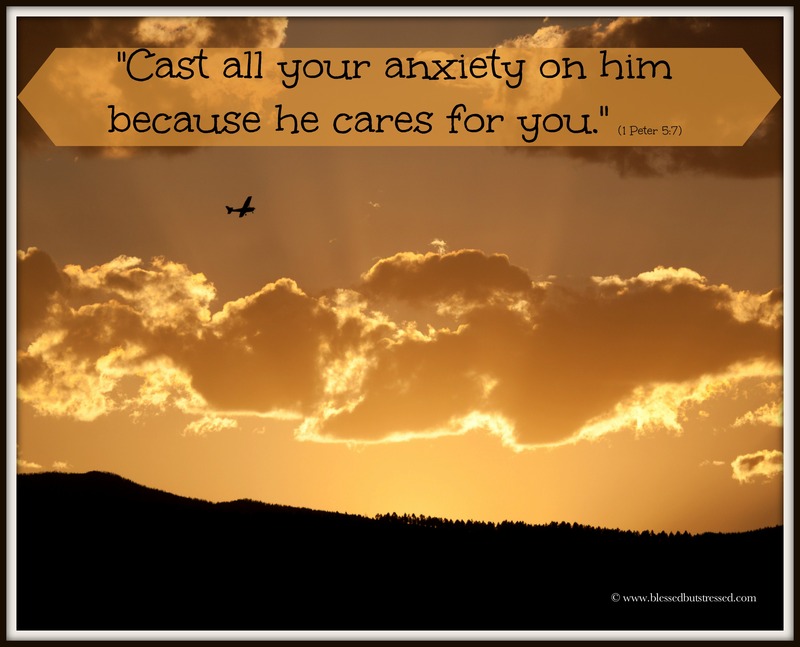 How have you cast your anxieties on God? 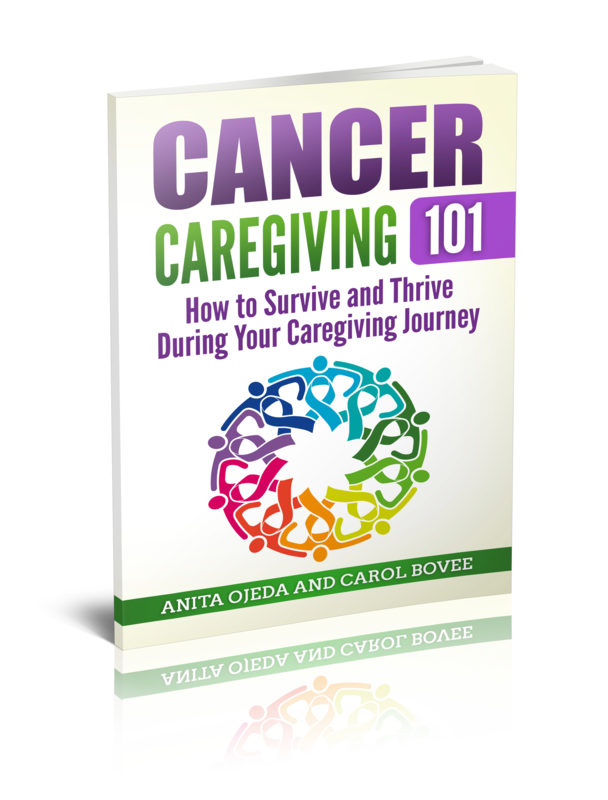 Find more caregiver comfort here.